Folks, here it is. The Borderlands reveal you’ve all been waiting for. What? Borderlands 3? Yeah sure – looks like a ton of fun. But can you build your own Claptrap in Borderlands 3? I don’t think so (don’t fact check that because honestly you might be able to). I’ll tell you where you CAN build your own Claptrap though, and that’s at Tiny Tina’s Robot Tea Party, the result of a collaboration between Gearbox, Nerdvana Games, and XYZ Labs. 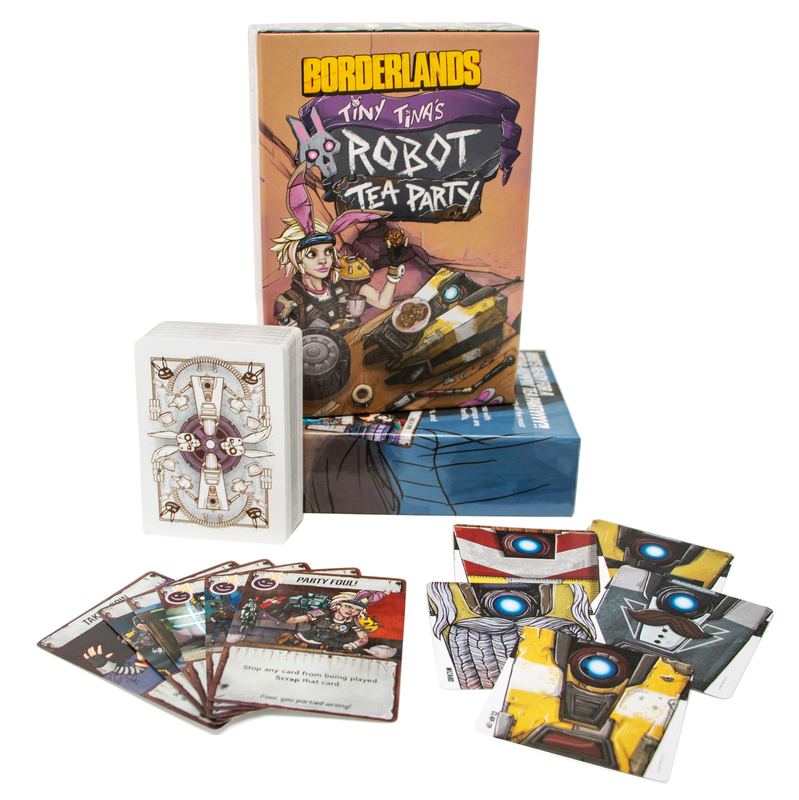 During the game, players will begin with one of five Claptrap bodies, and a selection of cards. As the game progresses, players have to work to dress up their Claptrap into a number of different costumes – as soon as someone’s Claptrap is all decked out, they win. So what’s in the box? 80 cards all told, with 5 Claptrap body cards, 54 Part cards, and 21 Action cards. The game supports anywhere from two to four players, and matches only take about 15 minutes. This isn’t just a Borderlands-flavored Pretty Pretty Princess, however (even though that would be incredible). The Action cards, as you might imagine, help you to sabotage your opponent’s Claptrap, so there is a degree of strategy involved. 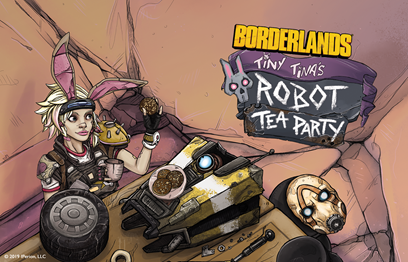 We’ll be getting some hands on time with Tiny Tina’s Robot Tea Party in the very near future, so I’ll be sure to get some impressions up here as soon as possible! Til’ then, minions.